According to the third-party logistics consultancy , global third-party logistics provider (3PL) revenues are on track to exceed $962 billion in 2020. Those numbers are just part of the story, however, as analysts stress that the complexity of logistics management intensifies at the same pace as the double-digit growth of e-commerce. 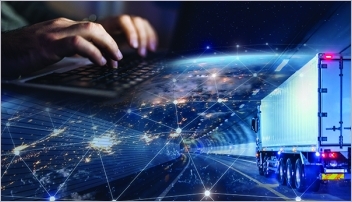 As a consequence, shippers must continue to evaluate a growing list of integrated services, IT enhancements and value-added solutions concurrent with pressures generated by consumer demand. In keeping with our New Year tradition, we’ve convened a panel of industry experts to share their impressions on the current 3PL marketplace, a sector responsible for solving many of today’s new digital supply chain challenges. Joining us in this year’s roundtable discussion is Jr., Ph.D., who serves as a director of development at the ; , president of research firm ; and, executive director of the. Logistics Management (LM): How would you define the current state of the global 3PL market in terms of services? Is it really becoming commoditized? John Langley: Overall, the market is strong. While we have seen somewhat of a slowdown in significant merger and acquisition (M&A) activity, there’s a wide range of very capable and comprehensive providers of global 3PL services. At the same time, there may be some similarity in the availability and quality of services among competing 3PLs. Furthermore, the competitive environment is being driven significantly by the abilities of individual providers to develop and manage highly responsive customer relationships. Cathy Morrow Roberson: Indeed, the global 3PL market is strong, as John mentions, thanks to improved global economic conditions. Late last fall the International Monetary Fund (IMF) revised their global GDP upward to 3.6% for 2017 and 3.7% for 2018. According to the IMF, the 2017 upgrade was attributed to improved conditions for advanced economies, and positive signs from emerging market and developing economies was responsible for the 2018 revision. Still, the 3PL market remains a fragmented one. And while M&A activity was not on the same level as it has been in the past, the acquisitions that were recently made tended to be more targeted and focused on niche providers such as cold chain or those providers specializing in a particular geography. Chris Caplice: Cathy makes a good point. When addressing global trends, we must still consider specific regions. In Brazil, for example, 3PLs require tremendous local knowledge in terms of taxes and other rapidly changing characteristics. I don’t see the emergence of a single dominant player here because the local conditions across the globe are very different and are constantly changing. These local nuances may work against them, becoming total commodities across the globe. LM: With that said, what are the biggest challenges confronting global 3PL providers? Caplice: The biggest hurdles they’ll face are growing expectations as well as additional services required by customers. For example, being able to capture and report the sustainability footprint—whether it’s carbon or something else—created by a 3PL on behalf of a customer is becoming more important. Yet, it’s still unclear exactly how to do this, as the standards are in their infancy and are evolving. Similarly, customers are demanding better visibility, both real-time and post-hoc for strategic analysis. Global carriers and 3PLs need to be able to merge and manage tracking data from traditional milestone-based systems (EDI) and from newer real-time systems (GPS). Many traditional transportation management systems providers are acquiring these blended capabilities—for example, Descartes acquiring Macropoint. Langley: I’ll add that the challenges are related to capacity, technology, adaptability and resilience. Providers and managers of supply chain services are continuously becoming better at managing their businesses, and this includes capacity. Excess capacity results in lower yields, tight capacity results in higher yields. Technology is one of the key capabilities needed to manage this. Shippers need to remember that adaptability and resilience go hand-in-hand. Successful providers will be sufficiently nimble to change or modify operations to meet the needs of the market and to innovate and develop new and improved operating capabilities to meet sometimes quickly occurring market changes. 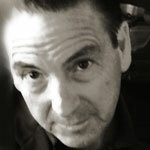 Roberson: All too true, John. Managing capacity constraints in the most profitable manner is always a challenge. There remains an overabundance of ocean capacity, and more is expected in 2018 and 2019. Meanwhile, air capacity is tight, driving up rates and resulting in charters, while the trucking markets in North America and Europe are facing driver shortages. As a result, we’re seeing creative solutions combining modes as well as more use of rail, particularly along Asia-Europe routes. LM: Any other challenges lurking out there that we may be overlooking? Roberson: That’s a complicated question. Certainly, technology is also a prime concern. Startups entering the logistics space have let their presence be known, and these new players have attracted small- to medium-sized shippers by allowing them to compete on a more level playing field. In addition, we’re seeing the emergence of non-traditional logistics providers such as Amazon, JD.com and even Alibaba control, in varying degrees, logistics activities within their ecosystem. The political environment around the world is a challenge. Protectionism and populism is a worry and could limit global growth. 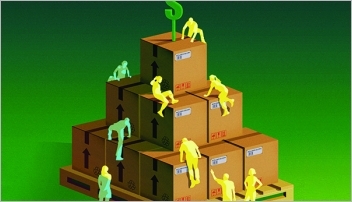 This in itself will result in a change in supply chains for many shippers and added costs. LM: How do global shippers move forward in making the 3PL decision? Can you offer some practical ways to vet global 3PL providers? Langley: The recommendation here is to conduct meaningful diligence in the selection/decision-making process. Logistics managers need to start wide with effective use of well-prepared request for information (RFI), and then focus on a smaller set of potential providers for more in-depth consideration. Utilization of the requests for proposals (RFP) process should be limited to those providers that have made the short list, and the selection process should proceed in a comprehensive manager. In terms of general advice, I would suggest shippers don’t skip or shorten the time it takes to follow a diligent process; you need to identify desired outcomes in advance, but be prepared to modify or adjust depending on what may be learned through the RFI and RFP processes; and make sure to provide the candidate 3PLs with opportunities to become involved in useful two-way dialogue to discuss the potential business opportunities. Roberson: First of all, shippers need to identify their needs and to make sure the needs match with their global strategy. From there, draw up a list of 3PL candidates. I agree with John that it’s vital for shippers to utilize an RFI and then narrow the provider list further by way of a RFP. Shippers need to make sure that the 3PL also understands their business and industry. Most importantly, shippers should also not rush through the process. During the selection process, shippers need to look for a partner versus a vendor—in order words, a provider willing to not only accept suggestions, but to encourage an open dialogue. Also remember that the cheapest is not always the best way to go. Caplice: There is nothing new here that hasn’t been part of transportation service procurement for the last 10-plus years. The only thing that I would suggest is to avoid wholesale flipping from one provider to another and instead allow multiple 3PLs to start small and grow into your network as their performance improves and your needs develop. Similar to hiring a temp-to-hire for positions in an office, I think it is better in the long term to start small and allow the 3PL to grow—or not. LM: Once the choice is made, how do global shippers leverage a new 3PL relationship and how should that relationship evolve? Langley: Logistics managers need to develop a strategic plan that includes steps for successful relationships that rely significantly on collaboration, coordination and sharing of values. Also, it’s important to understand how elements of the relationship may vary depending on when they’re needed. For example, there’s a very significant difference between the types of technologies needed for long-term planning, operational planning and real-time execution that involve 3PLs and customers. One of the soft spots here includes the real-time ability for these parties to communicate and coordinate details relating to individual shipments. 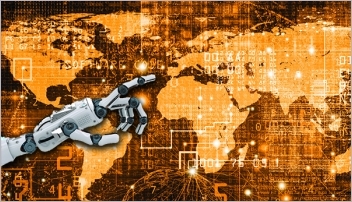 This has led to the development of information technologies that enable 3PLs and shippers to make needed decisions in very short periods of time—essentially managing operational details in a real-time environment. Roberson: John is right on. A strategic plan needs to be developed with both the shipper and the participating 3P. Establish goals and KPIs and use them to reward performance. If goals and KPIs are not achieved you need to find out why and readjust as needed. LM: Once this relationship is established and fully flowing, can you share an ideal situation on how it should work. What are the ultimate benefits? Langley: A significant benefit here is the ability to effectively manage “workflows” that are at the 3PL/shipper interface. Examples here would include managing shipment visibility, coordinating transit and delivery details, and enabling efficient management of administrative activities. The ultimate goal is to see that relationships between 3PLs and customers are as aligned and efficient as possible. Roberson: A fully leveraged relationship results in trust. Both parties have a stake and are willing to share ideas, collaborate and think out of the box. 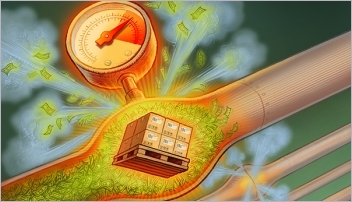 The goal for both the shipper and 3PL is a relationship that is profitable for both parties. Caplice: I believe that the mark of a solid, strategic relationship is when the provider can help you see around corners. You are not your 3PL’s only customer, and you to keep in mind that they have a wider view of the market than you will ever have. As strategic partners, the 3PL should be providing you insights; not just how to improve your current workflows and processes, but also to avoid pitfalls in the future. Поможем вам подобрать и подушки ортопедические купить в любом городе.